Since forming in 2010, Californian band Deafheaven have been a genre defying breath of fresh air. Having been described as a blend of black metal, post-rock and shoegaze, the five piece band push the boundaries even further on their current album, Ordinary Corrupt Human Love. Their melding of emotive growls and shrieks amongst a cacophony of menacing guitars sees their music shifting from apocalyptic to celebratory in an instant. 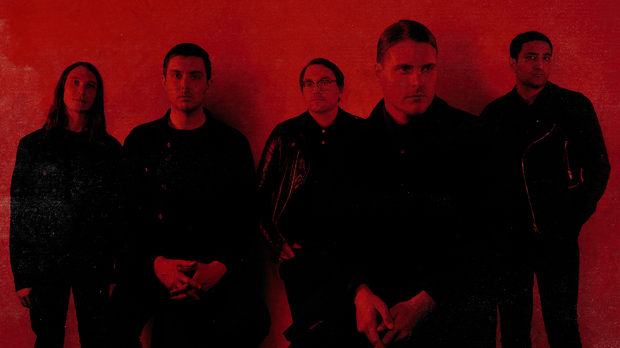 Ordinary Corrupt Human Love has seen Deafheaven expand their audience, claiming a Grammy nomination along the way. For a band that hint at having been through the up and that downs, they are at a creative and commercial peak at the moment. CHRIS HAVERCROFT spoke to vocalist George Clarke as the band prepare for a show with Zeal & Ardor in an explosive evening at Chevron Gardens on Friday, February 22. New Bermuda was quite a dark sounding record and Ordinary Corrupt Human Love even has a bit of that Californian sunshine coming through. Do you see it that way? It is the way we see it. All of our records are very reflective of where we are at and who we are as people at the time that it was written. Personal stress issues really affected the way that New Bermuda came across. I think that by the time we started working on Ordinary Corrupt Human Love and through the process of making the record, we found a way to close the book on some of those personal stresses. I think that shines through a lot on this record and it is a celebratory album and one that definitely embraces a lot more lightness, and I’m happy that is the case. Is it the least ‘metal’ of your records? I think it is very much a metal record. Lots of people commented on it being the least metal of our albums. For this record we consciously wanted to try new ideas and to expand our sound. In small ways, I feel that with each record we do that and it allows people to view it with much more of a non-metal context, but the heaviness is there and it is still extreme, and it is still aggressive and still fast and along with that, we did try to expand some of the other stuff that we do in terms of how the instruments go and how the vocals are. We have joked about not being sure if we make music for everyone, or if we’re make music for no-one. It can feel like it is all over the place. I like to think that we write it in a cohesive way, but to show the music to different demographics of people would reflect the record in a different ways. I think that is a great observation about the record. With Ordinary Corrupt Human Love having new sounds on the record, did you write this in a different way than you have previous records? It was a bit different. For the last few records it has felt like a full band process but Kerry (McCoy – guitar) has been at the helm of it. With this record we approached it in a way where we wrote it in a room together and jammed. We bounced around a lot of ideas and everyone contributed, so it is definitely more reflective of us as a collective. Going back to the metal question, I think this is probably why people receive it as a less metal sounding record because a lot of the songs start off with clean guitar and a lot of the reason that is because we were all in a room together jamming it out. When that happens it usually starts off with someone playing a clean guitar and we build on that. You can hear some of that looseness on the album. The vocals as always are quite extreme. Is vocal care something that you need to attend to carefully? There is a technique that I don’t even think I could explain to anyone, but I can just feel in my throat where I can scream but it doesn’t hurt. It is certainly not a scientific method by any means. I will say that when we first started touring, I used to lose my voice a lot. I didn’t understand control like I do now. If anything, I have developed that understanding over the years, so thankfully I don’t sound like a frog all the time. You have recently been nominated for a Grammy Award for your song Honeycomb. Was there a whisper that it may be happening, or did you find out at the same time as everybody else? It was out of the blue. It was so weird! It is a really cool thing to experience. I had a friend text me congratulations and a screen grab of an online article that pointed to us being nominated and I didn’t believe it was real. I have to be honest that I don’t pay a lot of attention to the Grammys, and I don’t think that anyone in our musical sphere does, but to be recognised by an institution and on that level is something that we appreciate very much. We are excited to be able to attend. That was the creepiest part. I couldn’t believe that the record had got into the hands of the committee, or the academy or whatever you want to call them. The whole thing was a gigantic surprise. We are definitely enjoying it. That will never happen. Australia is always a place that we are wanting to go to. I swear that it feels more like a vacation when we are on tour. The live show is going to be fun. It is the sound of this record. I think that playing it live has changed us a bit. It feels like we have tapped into this invigorating spirit. The shows have been more energetic and more emotional. People should expect high energy and a strong positive atmosphere with a setlist that has a bit of everything and will hopefully keep most people happy.